Julie’s an award-winning dating coach and internationally-known bestselling author. She’s the go-to person in the media for online dating and mobile dating advice and is a political dating and internet safety expert. 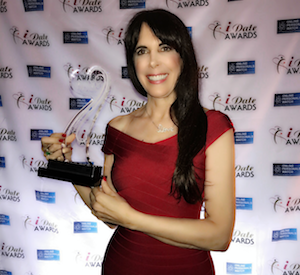 As a Los Angeles based celebrity-dating coach, Julie has clients from New York to San Francisco and from London to Sydney and was named “Best Dating Coach of the Year” in the 2017 iDate Awards. With over two decades of experience, Julie coaches singles from college-age to the large population of baby-boomers who are looking for a first or second chance at love. Through a combination of online dating profiles, mobile dating apps, email etiquette, and social media sites such as Twitter, Facebook, and Instagram, Julie helps singles shorten their search to find their dream dates. 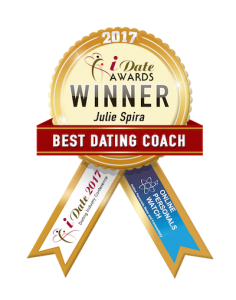 Julie is a dating expert for Match, and also appeared as the dating coach in the VICE documentary, Mobile Love Industries and was the online dating expert and coach in the award-winning feature film, The Lonely Italian. She’s the author of the bestselling online dating book, The Perils of Cyber-Dating: Confessions of a Hopeful Romantic Looking for Love Online , is writing the social media manners book, The Rules of Netiquette: How to Mind Your Digital Manners, and a book on the intersection of love and politics called, Love in the Age of Trump. Julie’s advice has reached millions. 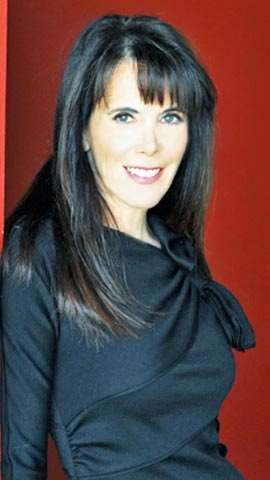 She’s been called on by the media as an expert in Internet dating, mobile dating, rekindled romances, and social media etiquette. From Tinder to Bumble, Grindr to OkCupid, and eHarmony to Match, Julie knows the dating industry inside and out and helps singles find their one in 100 million worldwide. ABC, Access Hollywood Live, BBC, Boston Globe, BuzzFeed, CBS, CNET, CNN, Cosmopolitan, E! Entertainment, Elle, Glamour, Good Day LA, Good Morning America, Hallmark Channel, HLN, Daily Beast, Daily Mail, Los Angeles Times, Mashable, Men’s Fitness, Men’s Health, NBC, New York Post, New York Times, NPR, PC World, Psychology Today, Redbook, Sydney Morning Herald, Time.com, Today Show, USA Today, USA Weekend, VICE, Washington Post, WIRED, Woman’s Day, Women’s Health, and Woman’s World. Visit CyberDatingExpert.com where you can sign up for the Weekly Flirt to receive dating advice delivered to your inbox.